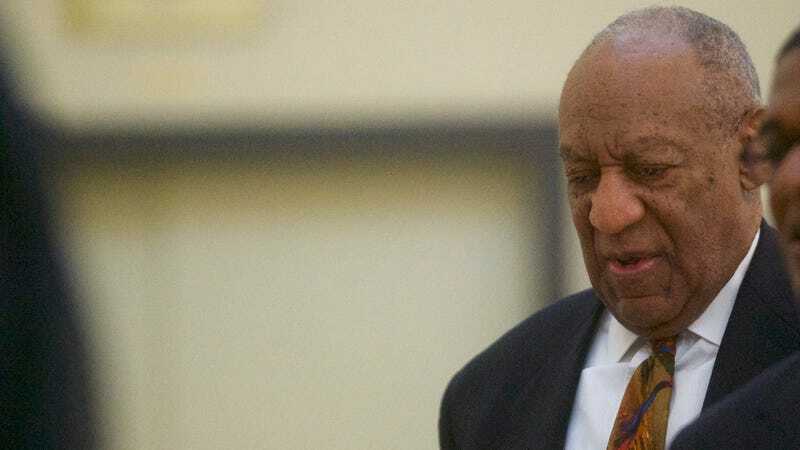 NORRISTOWN, Pennsylvania—At one point, the expert hired by Bill Cosby’s defense team spent five minutes just reading from the back of an old Benadryl box. First, Dr. Harry Milman read the active ingredients. Then Milman read the warnings. He did that for about five minutes, after already being on the stand for more than an hour. It fit with his testimony, during which he mostly repeated random drug facts that one can find on the internet but described in long, circuitous, just sort-of comprehensible sentences. As Milman read from the Benadryl box, people in the courtroom, both the gallery and the jury, started looking sleepy. In the gallery, people openly yawned. It was not the expected results of Thursday, nicknamed “experts day” because just two toxicology experts were scheduled to speak, one for the prosecution and one for the defense. When the day started, people in the courtroom thought, with just two witnesses scheduled, the proceedings might end earlier than normal. First, toxicology expert Dr. Timothy Rohrig was called by prosecutors, as he was during the first Cosby trial and, like last year, talked about the side effects of Benadryl and Quaaludes. He was done before noon. But court got out at close to 6 p.m., which is about the usual time on days when the jury has heard many more than two witnesses. A good chunk of that time was spent on Milman, who had his qualifications shredded by prosecutor Stewart Ryan. Another huge chunk of the time consisted of Milman reciting the aforementioned random drug facts while answering questions from defense lawyer Becky James. Or he just said random things that you probably know, like that drugs taken via intravenous injection take effect faster than pills and tablets. Or, on the topic of Quaaludes, he explained how the quality of drugs breaks down as time passes. He insisted there were no drugs that could cause memory loss for two to four days because that’s “not something that would be approved by the Food and Drug Administration.” His testimony on drugs that could be slipped in women’s drinks was that they exist, but he didn’t name them and he thought it very important to point out that, if they were blue pills like those suggested in the Cosby case, they wouldn’t work well in white wine. Ryan: “You were discussing drugs generally? Ryan, under cross examination, pointed out that Cosby told police he did give Benadryl to Constand. Cosby also gave police some Benadryl pills for testing. Ryan also pointed out that, while Milman said you couldn’t get Quaaludes after 1984, the current district attorney had a case in 2002 that involved thousands of Quaaludes. And in case you were wondering how much all this cost, Milman said his billing rate for the Cosby legal team ran $675 an hour.